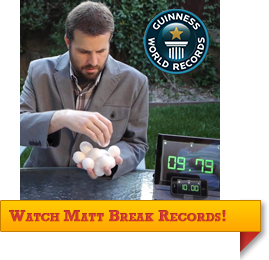 Click here to download a collection of records and feats. 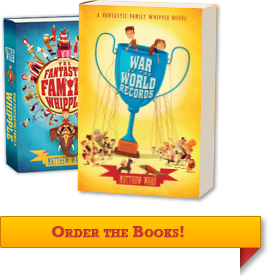 This page is reserved for selections from the World Record Archives: an entire building dedicated to world-record keeping—housing artifacts and information on every world record that has ever been set or broken. Grazelby Publications and the International World Record Federation welcome you. Heaviest Human Newborn: 22 lbs., 7 oz. Sadly, Abel’s mother was forced to switch her child to bottle-feeding after only seventeen minutes, an effort for which she still bears the scars. Held by Charles & Eliza Whipple and twelve of their thirteen children: Henry, Simon, Cordelia, Penelope, Edward, Charlotte, Lenora, Franklin, Abigail, Beatrice, George, and Ivy. Though Charles and Eliza were no doubt fond of each other before they discovered they shared the same birth date, the prospect of conquering the prestigious coincidental birth date record together can hardly have hindered their decision to wed.